AUSTRALIANS can expect cheap flights to more exotic Asian destinations as the budget airline war hots up. Malaysian-based low-cost carrier AirAsia X is planning to open new hubs in the Philippines, Japan and Indonesia over the next two years, with direct flights from Australia. The airline currently flies to Kuala Lumpur from Sydney, Melbourne, the Gold Coast and Perth. But it plans to significantly boost the number of flights, and add more cities. "It's no big secret we want to get to all the capital cities in Australia - and there are very few left,'' AirAsia X CEO Azran Osman Rani said. "We're still in the stages of negotiating and discussing with the different hubs. "With multiple hubs that means you get more choice for destinations." Travellers are already basking in record-low airfares to and within Asia thanks to new budget airlines and routes. Jetstar Japan launched this month - five months ahead of schedule - with prices at up to 50 per cent lower than full service alternatives. Jetstar Hong Kong is also scheduled to launch next year, subject to regulatory approval. Singapore-based Tiger Airways already flies to more than 35 cities in Asia and will launch flights to Cambodia in October. Scoot - which also flies to Singapore from Sydney and the Gold Coast - also launched daily flights to Bangkok in Thailand earlier this month and will begin flying to Taipei, China in September. Mr Rani, who spoke at the Terrapinn Aviation Outlook conference in Sydney yesterday, said there was a lot of potential for low-cost carriers. "I think we're really scratching the surface with the long-term growth potential,'' he said. "2013 and 2014 are going to be very interesting years for us. "We're probably going to be more than doubling our current fleet during a very short period. 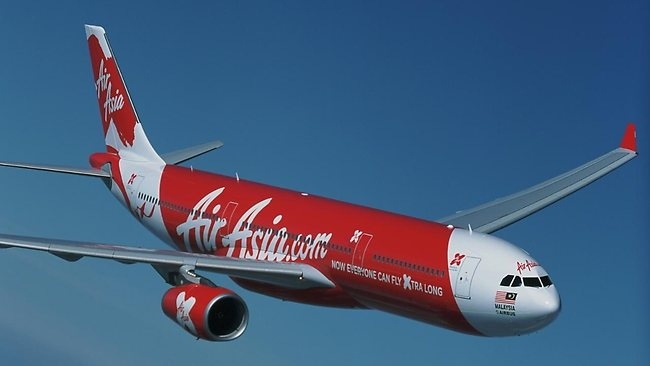 Mr Rani said more Australians were already going to the Philippines since AirAsia began flying there earlier this year. "They're going to KL for a few days and then they're exploring more exotic places instead of just Bali and Thailand because it's so affordable,'' he said.